As much as I love my grandmas avocado herb dip, you can’t beat Mexican guacamole. No matter, if you have it as a starter, a snack or prepare it for a movie night or BBQ – you just can’t go wrong with it! Especially because it’s super easy and fast to make, without any frills really. 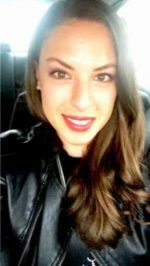 So there’s absolutely no excuse not to have it every night, which btw wouldn’t even be a problem since guacamole isn’t only irresistible but also healthy. 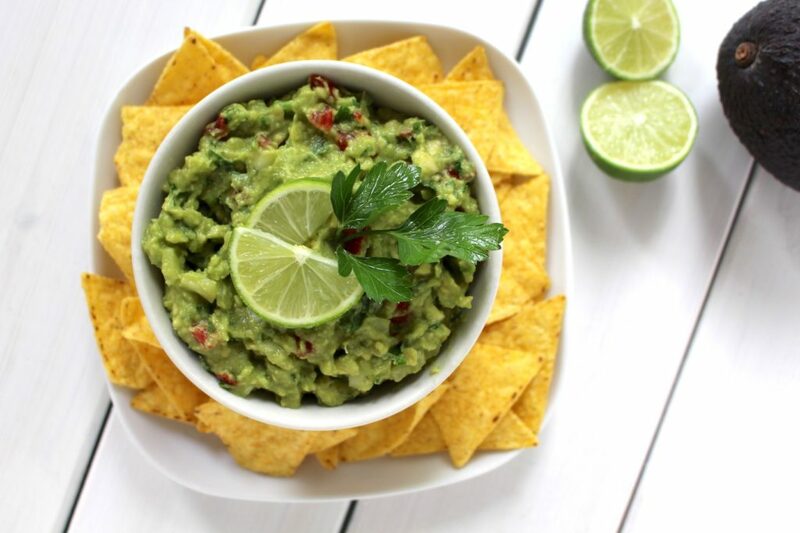 In Mexico, the land of avocados and limes, you’ll always find guacamole on the table – no matter if you’re at a restaurant or someone’s home. It’s usually served with nachos, which are called tortilla chips outside of Mexico. 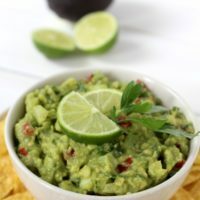 No matter, if you have it as a starter, a snack or prepare it for a movie night or BBQ - you can't go wrong with Guacamole! This version is authentic Mexican. However, you could add, leave out or substitute the ingredients just as you like (e.g. jalapeño, chili, garlic etc.). Add avocado pulp to a bowl and roughly mash with a fork until chunky. Add tomatoes, onion, herbs, lime juice and salt and mix well. Serve in dipping bowls with nachos. Tastes best right away, but you could also store the dip in the fridge for up to 1 day. 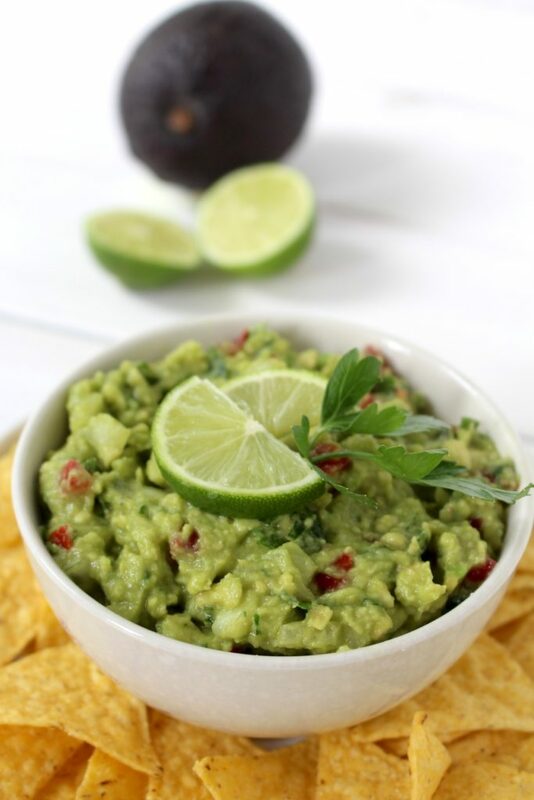 Just make sure to leave the avocado pit in the bowl with the guac to prevent it from browning to fast. 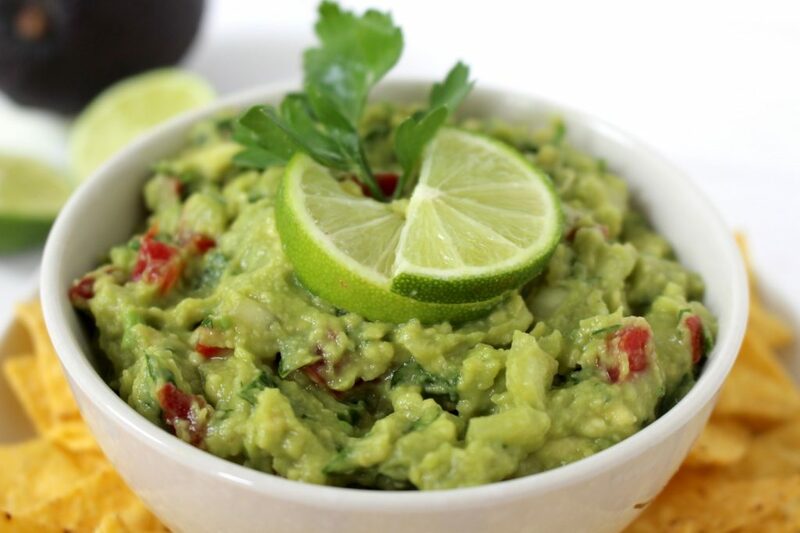 Depending on what you serve the guacamole with, you may want to use less salt. Nachos, for instance, tend to be really salty already.